Parker Whitley Symons was born in Moonta South Australia, a mining town on the York Peninsula in 1893, to James Nagor and Sarah Threader SYMONS. 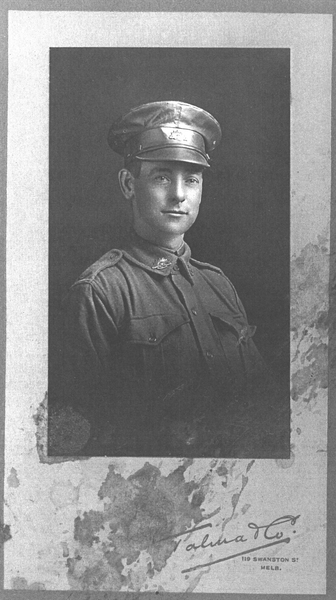 Parker had served for 3 years in the 24th Light Horse Regiment before it disbanded. He enlisted on 30 Sep 1916 into the Auxiliary Mechanical Transport Company 3, Section 2, and embarked from Melbourne on 22 December 1916. They disembarked at Devonport, England, 3 March 1916. Parker marched in to Australian Army Service Corps Training Depot, Parkhouse, 6 March 1917. He proceeded overseas to France, 20 June 1917. He sought and was granted a transfer to the Australian Flying Corps, 21 December 1917. He joined No 2 Royal Flying Corps School of Military Aeronautics, Oxford, to qualify as Flying Officer (Pilot), and appointed Cadet. On completion of pilot training he was appointed Flying Officer (Pilot) and 2nd Lieutenant, 6 June 1918. He then proceeded overseas to France, on 21 August 1918 and was subsequently taken on strength, No 4 Squadron, in the field, on 22 August 1918. Parker was one of three pilots lost in a melee between No. 4 Squadron and Jasta 2 of the Prussian Flying Corps over Ath in Belgium. He was reported 'Missing in Action, 5 November 1918'. Originally buried in Russeignies Churchyard, Parker Symons was exhumed and reburied at Cement House Cemetery. The 4th Squadron war diary recoefds the loss as 4th November 1918. In a Court of Enquiry, held at Cologne, 14 February 1919, it was concluded that Parker was 'Killed in action, 5 November 1918'. The Symons family had five sons who seved. Compiled by Steve Larkins 5 August 2017 from Service record.